You know a forklift when you see one, but do you understand its purpose and value? These vehicles are integral to the transportation of heavy items. This guide will help educate you on the advantages of the forklift. You’ll learn the history of this device, including important patents that improved the effectiveness of the concept. You’ll also read about the most popular kinds of forklifts, helping you select the right rental for your needs. It even lists popular manufacturers and specific models and which tasks they can achieve. If you’re still not sure, the guide also summarizes several helpful reviews. With this information, you can make an informed decision while choosing the best forklift for your needs. 1.0.1 What Is a Forklift? 1.0.2 What’s in a Forklift? 11.0.1 How do I pick the right type of lift machine? 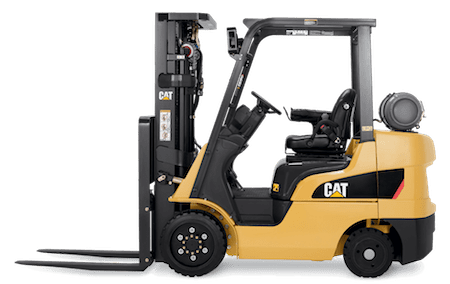 11.0.2 How do I pick the right forklift model? 11.0.3 When do I need an electric forklift? 11.0.4 Does fuel efficiency matter? 11.0.5 Which brand is best? 11.0.6 Does a driver need a driver’s license? 11.0.7 Do drivers need to pass a hearing or sight exam? 11.0.8 Does a person need certification for each model and type of forklift? A forklift is a type of material handling lift that has two prongs attached to the front of it. These prongs look like a tuning fork and assist in the lifting of objects. 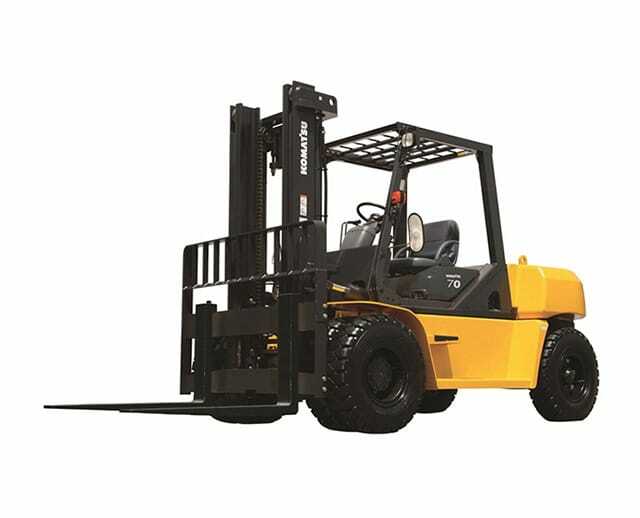 The name forklift is a combination of the appearance and the purpose of the vehicle. The forklift is one of the most useful vehicles for builders. On a jobsite, you can use one of these lifts to lift and move objects. Thanks to the forklift, you can safely transport these items over short distances. 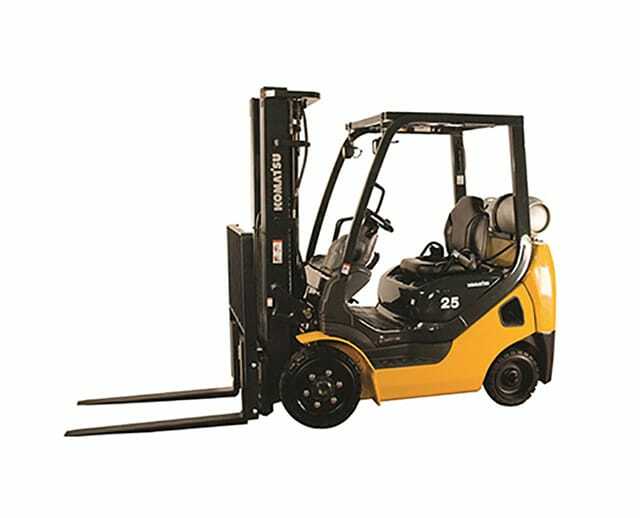 In a warehouse, a forklift can navigate tight spaces, reaching areas that other vehicles cannot. The unique grab system gets under these objects and lifts them. A forklift is much more powerful than a person and can do tasks that people cannot. As such, you are likely to need one for your jobsite. To understand a forklift, you must know each of its parts. A forklift has several main parts. The base of the unit is a vehicle complete with wheels. The driver section of the forklift sits in the middle. It includes an overhead guard. This metal protects the worker from having a load fall on them. The bus of the vehicle includes the driver’s seat and a steering wheel. Lights and a horn are also a part of the cab. This section also displays the riding plate. A driver should always look at this plate before operating the vehicle. It states the weight capacity for a load. Any lift attempt beyond that listed weight is unsafe. The front of the forklift has six sections. The most important part of the front is the forking system. It’s a pair of parallel arms that attach to the load carriage. The forks do the lifting described in the name forklift. 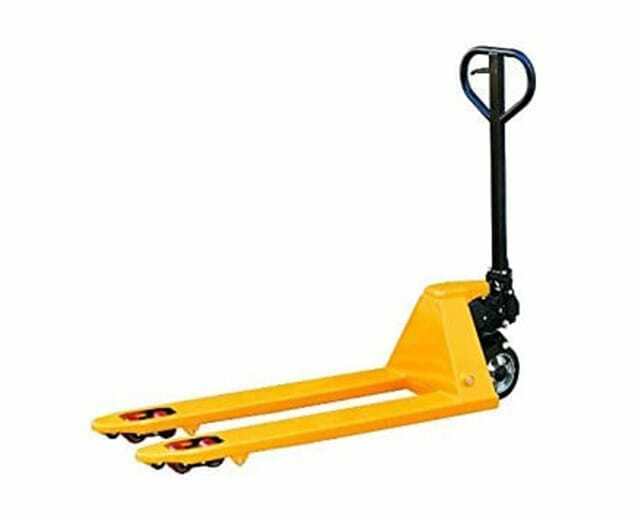 The load carriage is a support structure that makes sure that the forks can hold the weight of the load. The mast is the vertical support that allows the lift system to raise and lower a load. The backrest is another safety structure. It stops loads from falling off the forks into the connected cab. The lift cylinder determines the possible height of a load lift, and the tilt cylinder does the same for the angle of tilt for the front of the vehicle. This load tilt can go forward or backward. While many project managers have a brand they prefer, there are dozens of companies that manufacture forklifts. Still, the most popular businesses dominate sales in the industry. Some manufacturers sell more vehicles in the United States while others do better worldwide. Overall, seven forklift manufacturers are worthy of consideration when you look to rent or buy. Caterpillar Inc. is arguably the most famous manufacturer of construction site vehicles. Their line of forklifts is predictably robust and reliable. Their lift trucks start at 2,500 lbs weight lifts and go upwards of 125,000. They also build gas, diesel, and electric engines for their forklifts. Caterpillar is a name brand that you can trust in the industry. CLARK Material Handling Corporation built the Tructractor, and have maintained a presence in the forklift field ever since then. It only makes sense since they invented the concept. With so much history and experience, CLARK is an unquestioned expert. The company builds 350,000 trucks each year, and their lowest lift weight is only 1,500 lbs while their heavy duty units can lift 100,000 lbs. CLARK products are great for projects small and large. Crown Equipment Corporation released their first vehicles in 1956, making them one of the oldest businesses in heavy machinery. They have a robust line of products that feature proprietary innovations. That’s possible because Crown builds roughly 85 percent of the parts it uses in forklifts. With so much of the machines built in-house, Crown has rare expertise in all phases of forklift manufacturing. Don’t let the name fool you. Hyster-Yale Materials Handling Corporation isn’t an offshoot of the Yale engineers who added the ratchet and pinion system to the forklift. Instead, this company goes back much longer, starting in 1844. Originally a lock company, Hyster-Yale is now almost exclusively a forklift manufacturer. As such, their reputation in the industry is critical. This business has a glowing reputation in terms of customer service. If you have a problem, question, or concern you can trust them to help. The final three forklift manufacturers are more famous internationally or famous for a different kind of vehicle. Still, these three claim the most annual forklift revenue in the world. Jungheinrich Group is the third-largest manufacturer, with $3.388 billion in earnings in fiscal 2016. This German company is arguably the best material handling organization in Europe. Their primary challenger is another German business. KION Group is the other major material handling company in Germany, and they have even stronger sales than Jungheinrich. KION Group grossed $5.478 billion in 2016. To buy or rent one of their products, you’ll have to look for a different brand name, though. KION Group owns several lift truck companies such as Fenwick, Baoli, Linde, STILL, and Voltas. When you hear the name Nissan, you may think of cars and trucks, but the Japanese company is even more dominant in the lift industry. Nissan was the No. 1 forklift retailer in the world last year, earning $8.562 billion through their materials handling division. That’s almost as much as the second- and third-largest forklift retailers combined. Worldwide, Nissan is the unquestioned leader in forklift manufacturing. 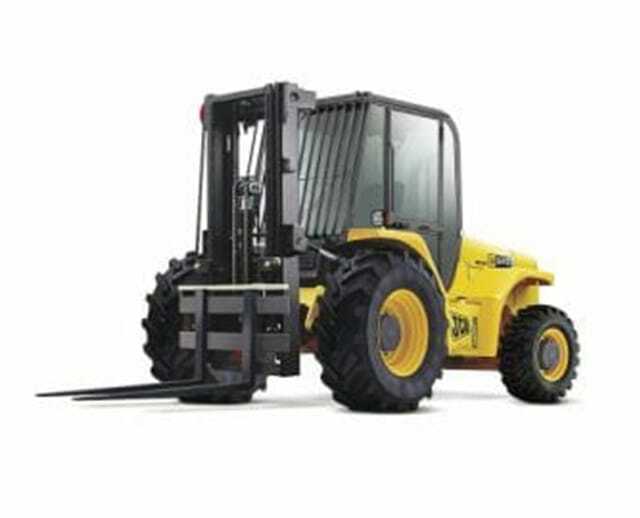 They offer numerous models that can suit any materials handling job. 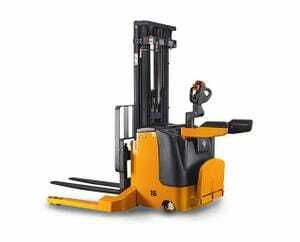 They are the leading lift truck business on the planet. You probably don’t know this, though. The explanation is that Nissan’s materials handling company goes by the name of UniCarriers Forklift today. Every type of forklift has the same general features. They all lift heavy materials easily, and they all drive similarly relative to their type. A rough terrain forklift handles differently than a warehouse forklift, but most warehouse forklifts drive the same. As such, brand loyalty likely becomes the biggest factor in picking a model. 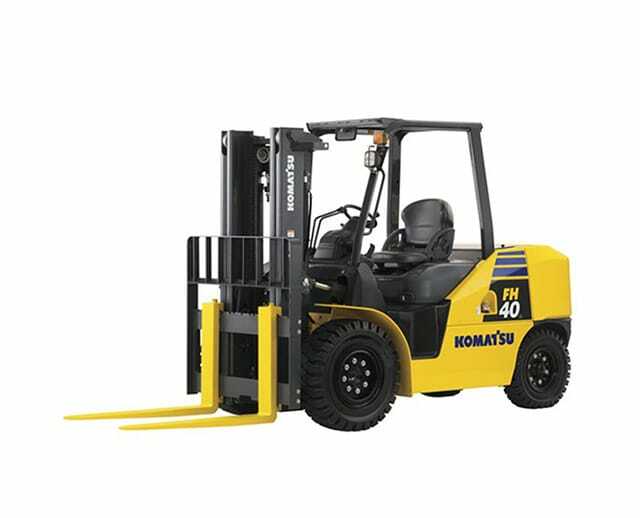 Four of the most reliable brands in the forklift category are Daewoo, Doosan, Komatsu, and Toyota. The Komatsu BX50 series is especially popular. This forklift has won awards for its ability to hold resale value. 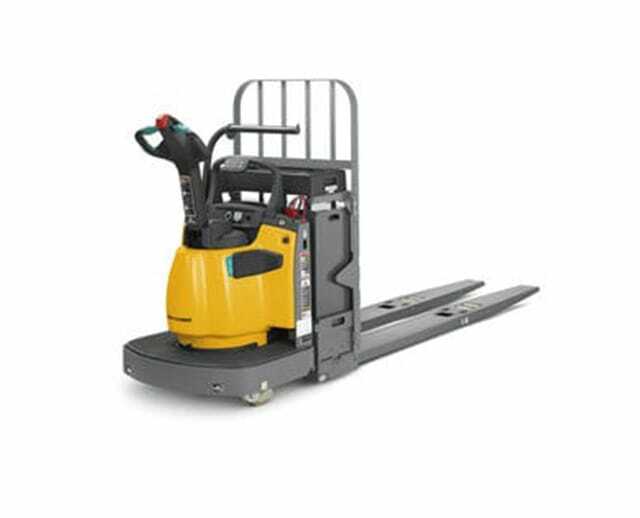 This forklift line has four pneumatic tires, making it better for warehouse use. It is capable of lifting up to 6,500 lbs, depending on the model. 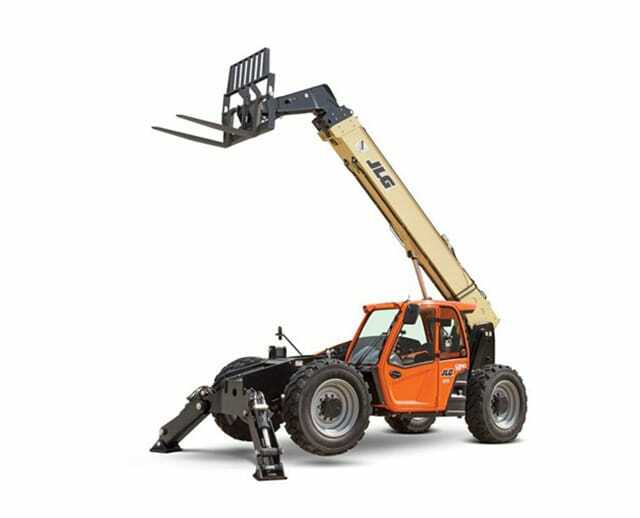 The FG20T-16 has a limit of 4,000 lbs, but the FG32HT-16 has a maximum of 6,500 lbs. In a factory, you’re unlikely to need more than 4,000 lbs. At a jobsite, you should rent the one with the most lifting power, though. In doing so, your workers operate more efficiently. The BX50 series has a powerful engine. It starts at 56 horsepower (hp) engine at 2,700 revolutions per minute (rpm). The most powerful version, the FG32HT-16, has 60 hp. Even at 56 hp, you’ll have plenty of lift power. With a loaded platform, it lifts at 124 ft per minute (fpm). Bringing objects down is always slower, though. The BX50 series lowers a payload at 98 fpm. 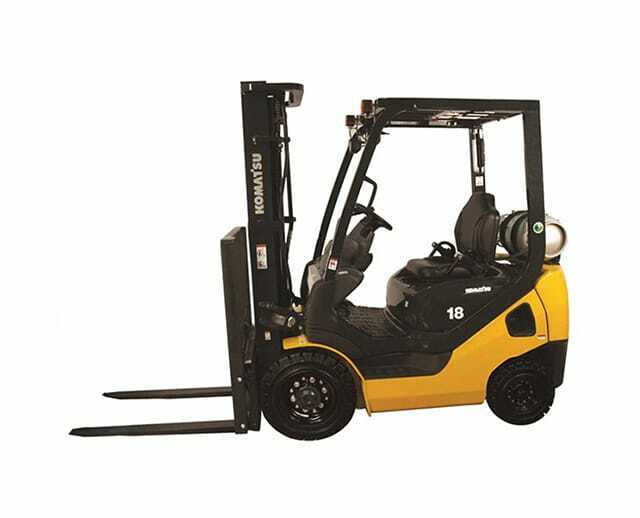 Most rental companies use Toyota forklift models due to their reputation for safety and performance. 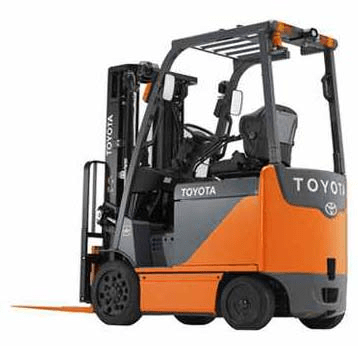 The Toyota Core Electric Forklift is a popular unit due to its utility. This sleek model is small enough to fit in narrow areas of a warehouse. It’s still strong, though. It can lift a 4,000 ft payload up to 21 ft in the air. It’s also safer and more efficient in a factory setting since the vehicle is electric. Toyota forklifts stand out from the competition in one category. Their computer systems are fantastic. Toyota uses a proprietary software suite called Vehicle Management System (VMS). This technology helps workers to know how well the forklift is working. It’ll also signal when repairs are needed, or a payload is heavy or unbalanced. The models with VMS are some of the best choices in the industry. The Toyota 8FBCU30 is especially good due to its small footprint and 6,000 lbs lift system. Many Americans are loyal to Caterpillar products. Their forklift line is good enough that you can trust them in this category, too. The best model is the Caterpillar 2C5000. It’s a tough vehicle with four cushion tires and a 5,000 lbs lift system. It also has a strong load radius of 24 inches. That’s a fancy way of saying that the forks have a large center of gravity. Caterpillar forklifts are notoriously powerful. The engine is 63 hp at 2,700 rpm. With that much juice, the 2C5000 can lift a full payload at 125 ft per minute while an empty payload reaches 130 fpm. The Caterpillar is a great solution for power users who want a job done quickly and safely. 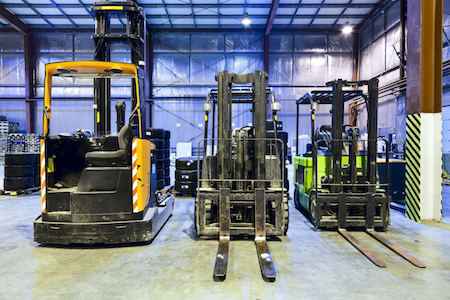 With so many forklifts on the market, you may have a tough time choosing the right one. Online reviews are a good resource to learn which models perform the best. The Caterpillar 2C5000 has great reviews. Part of the explanation is its history. It’s the grandchild of the C5000 series, one of the most beloved forklifts ever made. The previous generation, the GC25K line, was also universally respected. The 2C5000 became the primary model in 2010 and had maintained its status as one of the premier forklift models ever since. Reviewers love the power and versatility of the 2C5000 forklift. It has a three-stage mast that lifts up to 188 inches. It also has reliable tires that can sustain lots of contact. The one negative is that some critics find the driver’s seat unforgiving. Otherwise, this forklift has tremendous lift power, a solid motor, and a proven track record of excellence. That’s true of most Caterpillar heavy machinery. The Komatsu BX50 has also garnered positive reviews. Online critics praise its overall excellence while singling out the vehicle’s durability. Some lament that the engine doesn’t have enough horsepower. The 56 hp version feels underwhelming compared to some other forklifts such as the Caterpillar. If you have the option of the more powerful version, the 60 hp, you should probably spend the extra money. You can avoid the engine worries that way. A couple of other comments about Komatsu are important for all forklifts. Some engines are louder than others. In a small warehouse environment, a loud engine can cause problems. The Komatsu gets glowing comments about the quietness of the engine. The only annoying sound comes from the horn, something you won’t use often. As such, you should score Komatsu a bit higher if your jobsite is small or indoors. The reviews for the Toyota Core Electric reflect the brand loyalty many have expressed for Toyota forklifts. Critics praise the company for offering gas-powered trucks that get great gas mileage. They also point out that the electric units seem to last longer than other competing vendors. The explanation for this improvement is a conscious choice by Toyota. They built the current model with energy efficiency as a priority. Critics favor Toyota’s electric forklift product line over the gas engine. The reason is that their electric units are solid vehicles for the outdoors. Since they’re dual-purpose in design, the gas versions are redundant. A unit that doesn’t need gas refills is better and cheaper over the long term. The other pros of the Toyota models are lift speed and rough terrain handling. Some Toyotas can lift payloads at 131 ft per minute, the best rate listed in this guide. These trucks also perform effectively at a 34 percent grade. That’s very good for an electric forklift. The Toyota fleet does have a few negatives, too. Its top speed is 10.9 miles per hour. Some forklifts are slower than that, but it’s definitely on the low side. You are unlikely to go that fast while driving a forklift, though. One or two miles per hour is a small difference for the short period you’re driving the vehicle each time. Finally, the turning radius for the Toyota forklifts isn’t great. At 87.5 inches, it doesn’t navigate tight spaces well. If your jobsite requires lots of cornering, a Toyota BFGU15 works better. Each forklift has a practical application. You want to select the type that fits your job. In choosing, you must think about factors such as space and terrain at the jobsite, the weight of loads, and the materials involved. You should also consider your budget. Forklifts are one of the most expensive pieces of machinery on a jobsite. In most instances, renting a forklift makes more sense than buying one. With load capacities ranging from 6,000 to 36,000 lbs and lift heights as high as 55 ft, forklifts can meet a wide range of job applications and terrain conditions. 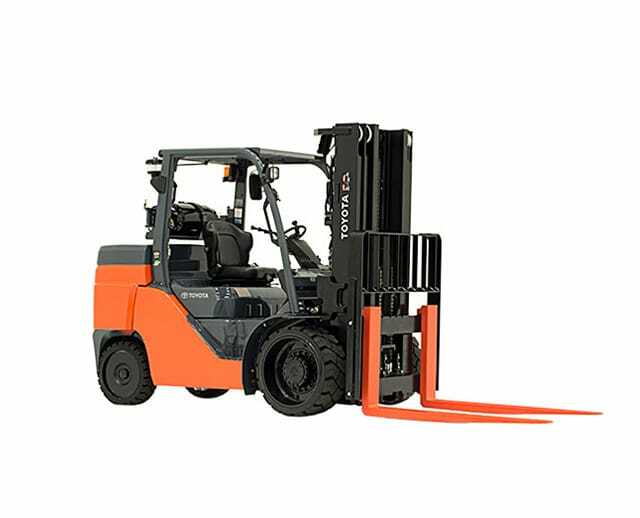 Some of the most common forklifts include warehouse forklifts, telehandlers, industrial forklifts, rough terrain forklifts, pallet jacks, and walkie stackers. Visit our blog to learn more about these different types of forklifts. Forklifts weigh thousands of lbs. You’ll obviously face some risk in using these vehicles, at least if you’re not careful. The federal government has safety requirements for this reason. Workers must have certifications to operate a forklift. The driver faces four main hazards while driving a forklift. These four hazards are attachments, loads, people, and the jobsite. 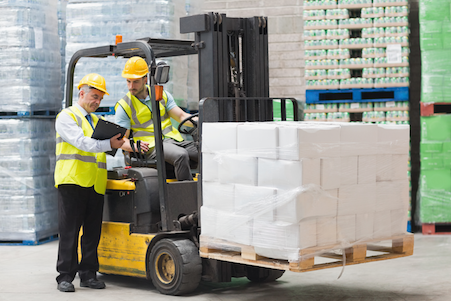 By understanding the dangers of each hazard, your workers will use a forklift more safely. 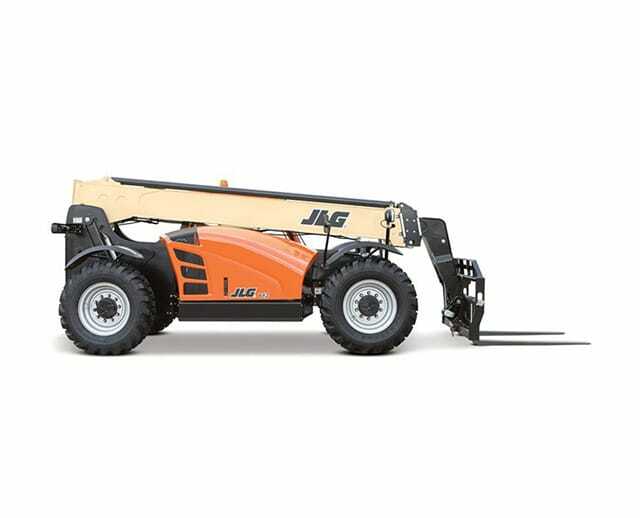 Attachments are accessories that you add to the forklift. Some attachments extend the length or grabbing ability of the forks. Others are clamps that secure payloads that would otherwise sit unbalanced. Drums and vats are good examples of payloads that need clamps. When you use attachments, you have to think about a couple of facts. A heavy attachment lowers the amount of weight that the forklift can support. A 4,000 lbs forklift with a 500 lbs clamp can only add 3,500 more lbs of items. An attachment also changes the center of gravity of the forklift. You must account for these factors when using the truck. It’s a common sense safety check before operating a forklift. Loads are similar to attachments. They also change the calculations for a safe lift. You cannot go over the listed load limit. You also cannot lift any item that sits unsecured or is likely to wobble. Another type of dangerous load is a vat of hazardous chemicals. When using a forklift for such items, you must show extreme caution. Loads are the biggest hazard but also the easiest to remember. Workers usually know when their payload requires extra safety measures. As long as you train your drivers properly, you can easily avoid these hazards. People are a hazard in that you must keep them away from the forklift area. That includes the region in front of and beside the forks where the payload could fall. One of the worst issues with pedestrians is that some loads obscure the driver’s view of the surrounding area. That’s when people are a serious hazard. An alert worker should know to look out for people standing close to the forklift or walking toward it. Also, carrying a passenger on the truck sometimes leads to injury. Train workers not to do this. The work environment issues vary by jobsite. A good example is trying to drive a forklift in a dimly lit area. The poor visibility could lead to accidents. Also, using a gas engine in tight quarters could cause ventilation and breathing issues. Other possible issues involve the environment. When you navigate uneven terrain, sloppy driving could lead to an accident. For example, driving over train tracks could cause the forklift to tip. All of these situations are avoidable. You simply need the driver to remain alert while operating the truck. The United States Department of Labor has final say on safety protocols in this country. They created a special department to protect workers and businesses. The Occupational Safety and Health Administration (OSHA) makes the rules that govern the operation of heavy machinery. OSHA Section 1910.178 lists safety procedures for “fork trucks, tractors, platform lift trucks, motorized hand trucks, and other specialized industrial trucks powered by electric motors or internal combustion engines.” The most important rule is that each forklift reaches the basic standards for safety. This section also dictates that fork trucks must show their governmental approval. The faceplate that shows the vehicle’s weight and lifting potential also must remain clean and easy to read. Anyone who wants to drive a forklift must get certified. Training classes are readily available, but a person cannot get behind the wheel until they have completed the course. Also, users cannot change the forklift without explicit manufacturer consent. Attachments need notations on the vehicle, too. Otherwise, a new driver might not know about the changes. Following the safety, protocols aren't hard. You shouldn’t want to tinker with heavy machinery anyway. When you need an attachment, you should have a professional add the accessory. Finally, you shouldn’t want a worker using a forklift unless they have the proper qualifications. It’s a needless risk that could leave your business liable in the event of property damage or personal injury. 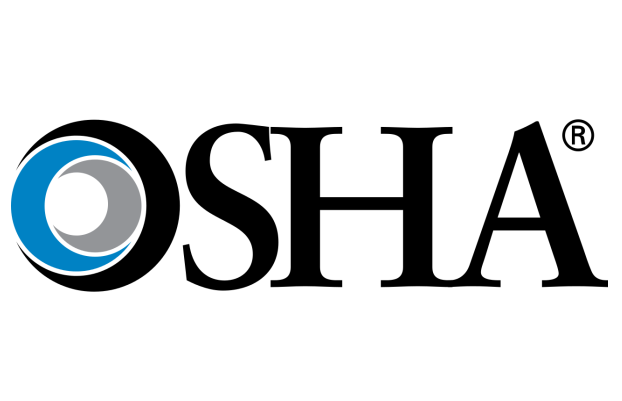 OSHA’s rules are in place to protect your business. Take the time to understand their intent, and you’ll have an admirable safety record. The OSHA standards in place for forklift operation are easy to follow. The intended driver must finish the training program and earn certification. The class includes a written exam and driver training. After the person passes the exam, they must show the ability to drive a forklift safely. A licensed driver still has to show readiness. Every three years, this worker must pass an evaluation. It also has a written portion and a driving exam. This test doesn’t work the way that the class did, though. Forklift training prioritizes safety above all other driving skills. A person must learn how to drive a forklift while carrying a payload. Many of the most serious forklift accidents happen when a driver drops a payload. Any person in the area can get hurt. Similarly, property is at risk. Still, property is easy to replace. Personal injuries are more serious. Trainers stress that drivers always think about the potential dangers of their payload. Assuming the worst is the best way to maintain a perfect forklift driving record. An inspector will watch the worker use the forklift over the course of a day. The driver must prove skill in using the forklift. The inspector will also test for knowledge. While working, your employee must answer questions from the inspector. Anyone who fails to give correct answers to these questions will lose driving privileges. At the conclusion of the test, the successful driver will earn a three-year operator license extension. The basic skills of driving a forklift are obvious. You must show that you can use the forks to acquire a payload. You must prove that you can lift and move the payload safely. You must show that you can navigate the vehicle safely, even in tight spaces. Finally, you must prove that you are aware of pedestrians and property while driving. The modern forklift wasn’t perfected overnight. The process has taken almost 150 years. The origin of the forklift dates back to the 19th century, but the true genesis of the vehicle started roughly a century ago. Then, designers made various improvements that eventually led to the version of the forklift that you know today. Here’s a quick history of the forklift. In 1867, an inventor designed the world’s first wooden elevator. That was the first step toward the introduction of the forklift. After all, the device’s core purpose is to use a mechanical system to lift and lower objects. That’s also the core concept of the elevator. Twenty years after the elevator, an innovator took the same concept and put it on wheels. The underlying idea of a forklift is that it moves objects vertically and horizontally. The 1887 version of the forklift was the first vehicle that could perform both movements. It was crude in design, a “truck” that was little more than a mine cart with its own engine. While the vehicle wasn’t visually impressive, it was a hallmark achievement in design. The attached platform was capable of vertical movement. It just couldn’t lift much weight, and it also couldn’t lift anything higher than a few inches. In short, it was a great idea that didn’t work well in practice. An all-steel low lift truck design with the same premise became the first 20th-century innovation that resembled the modern forklift. It was like the 1887 truck, but it had more strength and stability. People refer to it as the skid platform design, which explains why it’s not a true forklift. Its loaders were a set of metal skis, not forks. It was a key step toward the next improvement, though. In 1917, 50 years after the wooden elevator and 20 years after the forked truck, the Clark Company built the Tructractor. Physically, it looked more like a tractor than a forklift, but the Tructractor revolutionized the manufacturing industry. This vehicle would transport materials around the factory floor. It had counterbalanced seats and was capable of lifting heavy payloads. It wasn’t advanced, though. Workers had to load materials onto the vehicle, as it didn’t have a mechanism of its own. The Tructractor proved popular. Other companies would visit Clark’s facilities, see the device, and ask to buy one for their businesses. As word spread, inventors tried to build a version of the vehicle that had more utility. They eventually realized that the Tructractor was missing something important: hydraulic forks. A basic forklift engine has little lifting ability. One that has excessive power can leverage that extra energy to lift heavier materials. In 1920, the first hydraulic forklift debuted. Lifting loads became an easier process, and the addition of a crane helped workers to pack forklifts quickly. With these two innovations, the Tructractor concept had almost evolved into the first true forklift. Three years after the hydraulic innovations, engineers at Yale University made the final key discovery. They realized that a ratchet in combination with a pinion could lift a load the fork up the mast. It was the world’s first vertical-lifting cantilever. In other words, it was the first forklift design, the one that workers still use roughly 100 years later. The next huge advance in the forklift industry involved the electric engine. Fork trucks historically ran on gasoline. They were vehicles that used internal combustion engines. The problem with that design is that warehouses are indoor facilities. The smell of gas is unpleasant and even dangerous in tight quarters. Most of the time, using a gas forklift is absolutely fine, but it’s not always ideal. 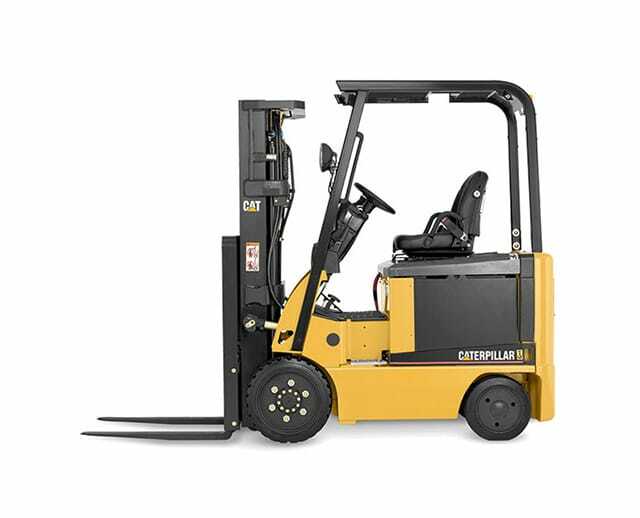 The electric engine is a key improvement in forklift design. 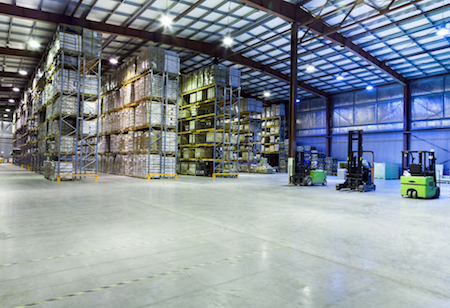 In a factory setting, the electric forklift can operate all day on a single charge. It doesn’t have emissions that bad for the environment, though. It’s also easy and cheap to charge. Any electrical outlet will do. Gas engines are more expensive to maintain and are sometimes less convenient, too. If you’re working outdoors, a gas forklift may make sense, but the introduction of the electric forklift has fundamentally changed warehouse usage. The final innovation with the modern forklift is computer technology. Workers once had to guess at the proper steering angles and lift angles. The dashboards of forklifts today use computers. The system does complex calculations in an instant, guaranteeing safer, more efficient vehicle operation. Given the odd history of the forklift, the applicable patents are interesting. In fact, one of the most important inventions happened many decades before the first wooden elevator. François Isaac de Rivaz developed the internal combustion engine in 1807. Without it, the modern forklift wouldn’t exist. France gave him a patent for the invention that same year. Sixty years later, Andrew Erkenbrecher earned patents 67,514 and 67,515 for his wooden elevator creations. 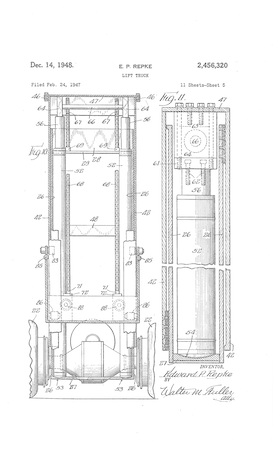 The 1867 prototype for the forklift was also the first one to receive a patent. In awarding it, the patent office noted that it was built of wood, had uprights, a hoist, and a cantilever platform. Yes, the 19th-century version also had the same idea that Yale’s team of engineers would later perfect. Had this inventor marketed his product better, the forklift could have gained widespread popularity decades earlier. The federal government awarded one of the most famous patents September 13, 1921. The recipient was the Tructractor. US 1786560 A lauds a dumping truck with a novel design. Most of the images on patent explain the purpose of the truck bed. CLARK Material Handling Company is so proud of this patent that they even sell t-shirts with pictures of the patent claim. Yale’s forklift patent claims went through several filings. Ultimately, the recognized one is US 2456320 A, awarded in 1948. Yes, that was 25 years after the invention. The patent application process worked much differently back then, and World War II didn’t help any. The patent is noteworthy in that it was the first true forklift claim that the government awarded. The final two patents of note involve improvements to the forklift style. 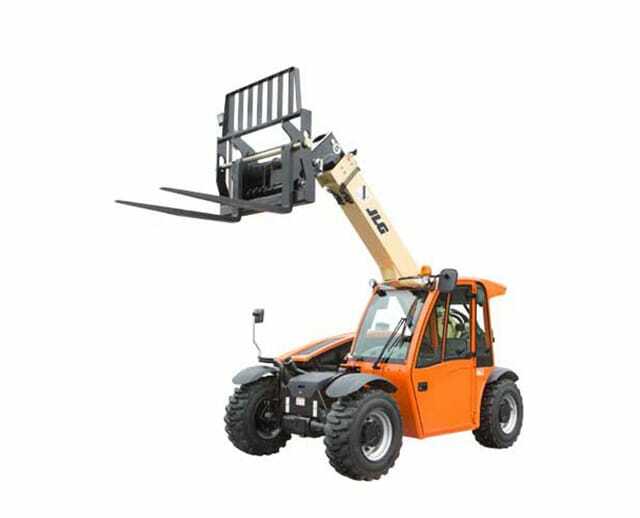 Patent 4,919,233 lauds the Front Rider Lift Truck, which improves the visibility of the forklift operator. 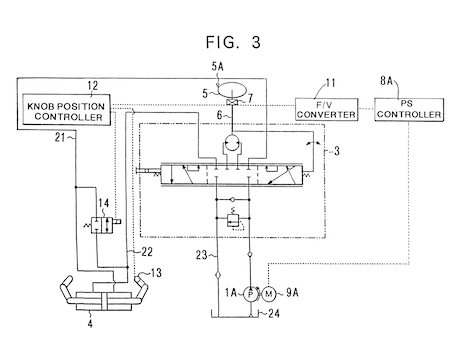 Meanwhile, Seiji Nakashima earned patent US 6202410 B1 for the hydraulic forklift engine, and three different inventors won patent US 7523159 B1 for telematics. That’s a fancy word for adding a computer system to the forklift. The American government and several other countries have awarded literally hundreds of other forklift patents. The ones listed here are the most important innovations, though. How do I pick the right type of lift machine? Even though six types of lift machines are in use, you won’t need most of them. Trucks like the pallet jack and walkie stacker are specialized units. You will know when you need one and likely ask for it by now. In most instances, your choices come down to the various forklifts or a telehandler. 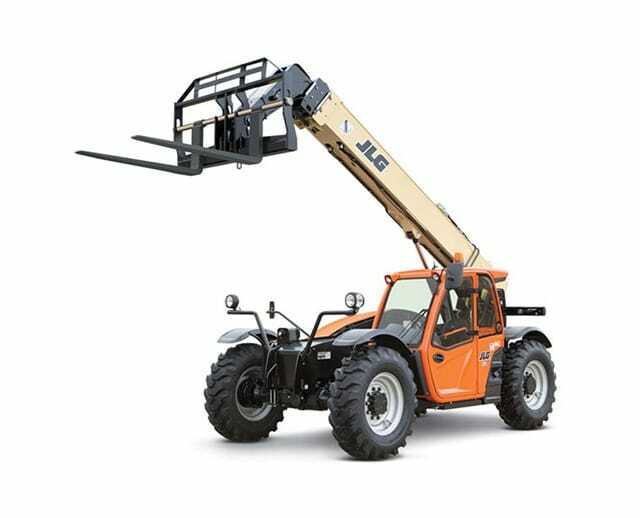 You will also know when you need a telehandler. So, unless you’re asking for a specific type of lift truck by name, you likely want a forklift. 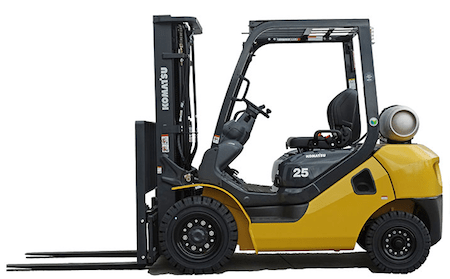 How do I pick the right forklift model? When you know you need a forklift, you should think about several factors in choosing the right model. Where will you use the forklift? Will you drive over uneven terrain? Would gasoline emissions cause problems? How high do you need to lift a payload? How heavy is the payload? Are any dangerous materials a part of the payload? You must answer these questions and narrow down your options using this information. When in doubt, ask an expert in the forklift rental industry for advice. A professional will get you the right forklift for your needs. When do I need an electric forklift? These forklifts are best when you use the vehicle for a set time each day. You can operate the forklift during working hours. Then, an employee can plug in the unit as the last work activity that day. The following morning, the battery will have a full charge again. You can also use an electric forklift outdoors. You simply need to make sure that your battery keeps a charge until you’re done. You can have a charger on-site if that helps. Still, gas forklifts are more popular for many outdoors jobs. The answer is similar to electric forklifts above. It depends on how much you’ll use the vehicle. Better gas mileage is always better, and it helps the environment. Still, other factors such as lift power and speed and total payload weight are more important. The job is about transporting a payload from one place to another. You may save more money by making the same transfers with fewer trips. That’s worth a small sacrifice in fuel efficiency. This is a matter of personal preference. With so many brands available, a forklift renter has many options. Caterpillar is a recognized, trusted brand in American construction. UniCarriers Forklift aka Nissan is the dominant forklift manufacturer in the world. All of the other brands listed in this guide have their pros and cons. Ultimately, most of the brands listed in this guide are easy to recommend. 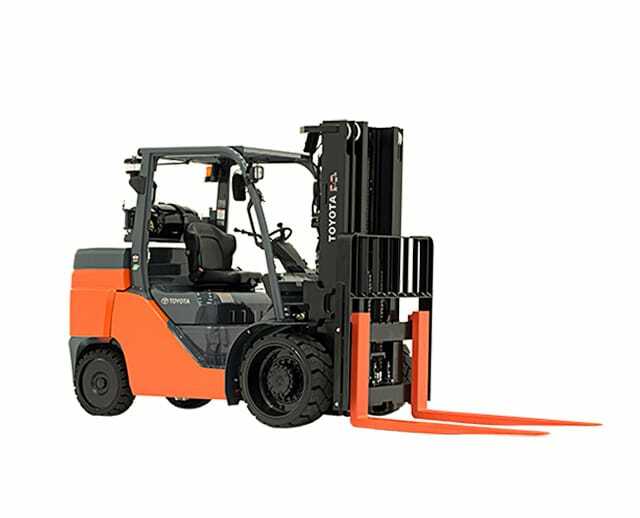 All of their forklifts have an excellent track record in terms of performance and safety. They’re all among the industry leaders in sales for a good reason. Each one is reliable. Does a driver need a driver’s license? The surprising answer is no. A person doesn’t have to own a driver’s license to take and pass the forklift certification exam. OSHA views these skills as different enough that proven skill in driving a regular vehicle isn’t needed. Do drivers need to pass a hearing or sight exam? No, OSHA doesn’t have specific requirements for potential drivers. The government has explained that companies have a responsibility here, though. You must make sure that your driver isn’t a danger to people and property. Otherwise, you’re liable for damages and injuries. Does a person need certification for each model and type of forklift? This answer is confusing. It’s really yes and no. You don’t have to earn certification for a Toyota electric forklift and a Caterpillar diesel forklift. OSHA tests you on properly driving forklifts. So, you don’t have to trade for each model and type. 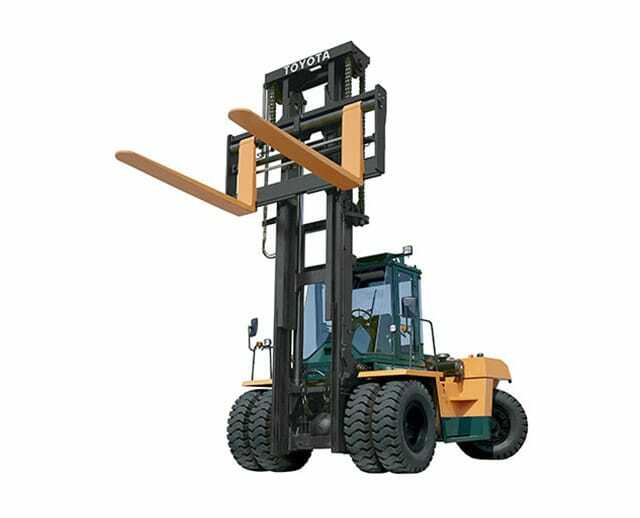 The catch is that you do have to test for various types of lift trucks. Your certification for a pallet jack doesn’t qualify you to drive a telehandler. Similarly, you have to earn a certification for a sit-down truck and a standing one. The style of driving is different, so OSHA expects you to prove skill at each one. Several companies such as BigRentz host their own YouTube channels. You should subscribe to these channels to learn more about forklift usage. Also, some links are just fun to watch, including this one about a world record forklift pallet relay. You can also watch forklift training videos, forklift safety guides, maintenance tips, and how-to guides on charging electric batteries efficiently. Manufacturers such as Toyota also provide informative official product videos.